Buying real food from local farmers, farmer's markets and vendors is great for communities and sustainability, not to mention it can be healthier and cheaper. But sometimes it is hard to find local farms. Finding farms local has always been a big goal of mine. A couple years ago I had every intention of starting a garden early. When you want to eat more food that is local you can't get more local than that. But then there it was, early June already and not a single seed planted. I knew it was not too late, but at that point I wan't sure when I would have time to start one. But I can still eat local and support my local farms by buying direct. We are so lucky living in NJ (yes, it really is the garden state) that there are tons of farms around. 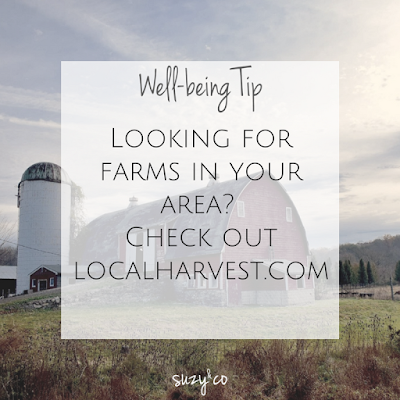 If you want to find farms in your area go to localharvest.com and put in your zip code. Then go support a local farmer! 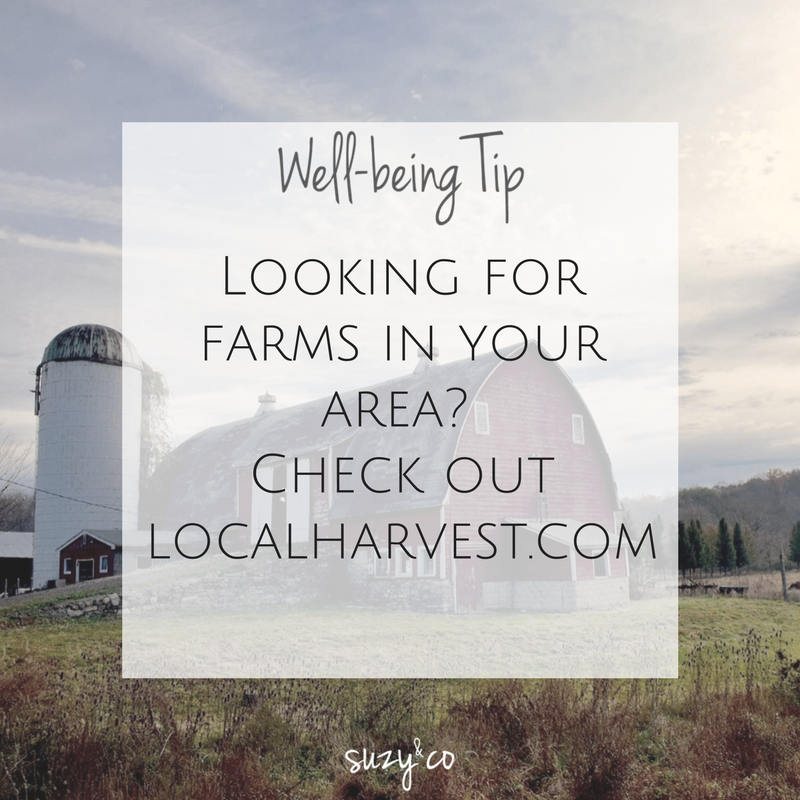 It is a great website that will not only list farms, but also farmer's markets, pick-your-own, farm stands, and more. The less miles your food travels the healthier and more nutritious it will be. There is also a greater chance of transparency when you are able to see the farm where your food comes from and talk to the farmers. For more well-being tips subscribe to the newsletter.